An MSP’s campaign to restart the ferry link to Norway looks likely to gain wide support, but could take years to get off the ground. Also, Austria expands experiment with temperature sensitive road markings. The latest on yesterday’s incident in Dover harbour. Moscow’s notorious ‘GTA Killers’ are – apparently – apprehended. A new border crossing opens between Romania and Serbia. 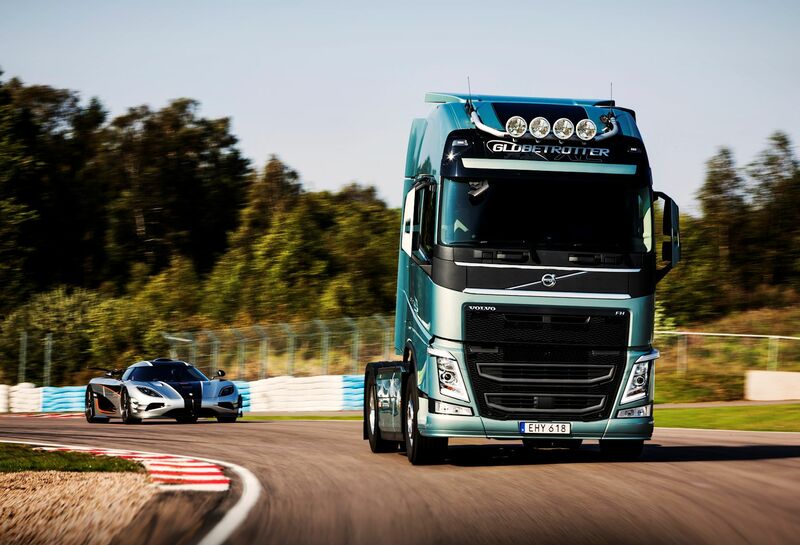 Volvo Trucks races its FH against a Koenigsegg One:1 megacar. MSP asks government to support UK-Scandinavia ferry link but a short term solution looks increasingly unlikely. 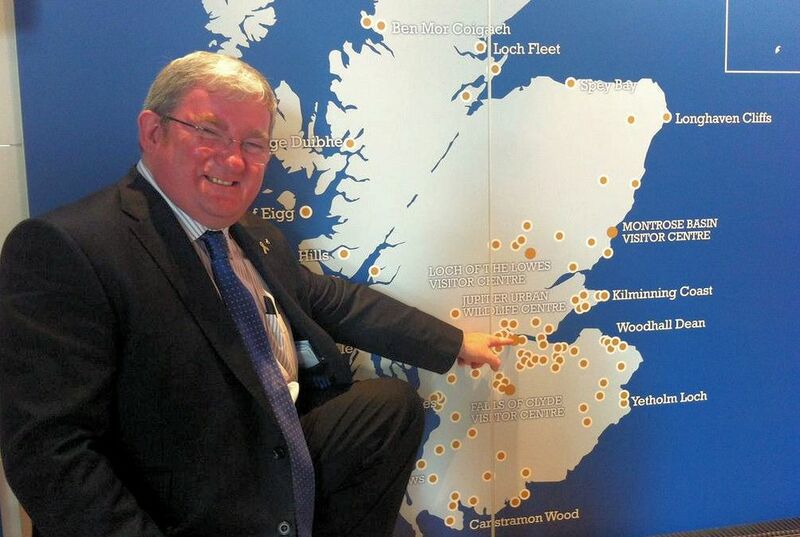 Falkirk East MSP Angus MacDonald pointing to Grangemouth in his constituency, one of several Scottish ports mentioned in connection with the proposed UK-Norway ferry service. Others include Aberdeen and Rosyth. Photo via @Angus4FalkirkE. An MSP’s parliamentary motion to support the return of a UK-Scandinavia ferry link looks likely to gain the cross-party support it needs, but will still take years to come to fruition. Colleagues from the Green Party and the Liberal Democrats have indicated they will back Scottish National Party MSP Angus MacDonald’s ‘members’ business’ motion calling for the Scottish government to investigate a new service, lodged last week. MacDonald calls on the Scottish Government, the Scotland Office, Scottish Development International and ‘interested regional transport partnerships’ to work with port and ferry operators to investigate the feasibility of the route. A spokesman for the MSP told @DriveEurope on Friday that the debate would probably be held in January. After that, presuming the project was adopted by the government, a public consultation, new legislation and probably infrastructure investment mean the subsequent process would take some years. He stressed the proposal was in the very earliest stages. Meanwhile, the Scottish government has shown itself open to supporting ferry services. Figures released last week by transport charity Transform Scotland (@TransformScot) show spending on ferries has increased by 101% in the past five years (compared to 1% extra on buses and 15% on rail). Last week an agreement was reached on subsidies for the DFDS Rosyth-Zeebrugge freight route, currently Scotland’s only roll-on, roll-off ferry link to continental Europe. MacDonald’s motion is one of a number of new initiatives to support the return of a Scandinavia ferry. In addition to the Ferry to Norway campaign launched in October, @Britain2Norway – a group set up after the last Scotland-Scandinavia ferry was withdrawn in 2008 – is set to re-enter the fray. Austria: after trials last year on the A2 near Graz and Pinggau, an experiment with ‘thermochromic’ road markings is expanding to four new locations this winter and next. The A2 southbound at Waltersdorf and Warth/Seebenstein, the A6 westbound at Parndorf and the A21 Vienna outer ring at Alland are all having five metre long, 20cm wide test strips applied that turn various combinations of blue and red at freezing point. Above this temperature the markings are virtually transparent. 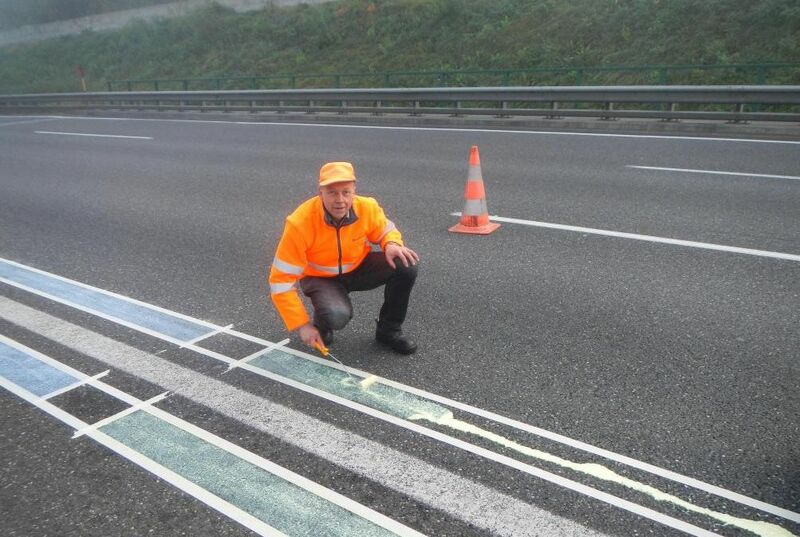 Meanwhile, following an aborted first attempt in April, a ‘mature’ version of ‘photoluminescent’ road markings have been re-applied to the N329 at Oss, off the A50 Eindhoven-Nijmegen in Holland. The new version works well reportedly (the first was invisible during heavy rain). The markings ‘charge’ during the day and glow at night to do away with traditional street lighting. The plan now is to mark up the entire twenty mile long A20 Afsluitdijk causeway motorway in northwest Holland. Photo via @ASFINAG. roundup: DOVER. DFDS Dover Seaways ‘made contact’ with Dover harbour wall at 08:00 yesterday morning as it departed for Dunkirk. Four people were taken to hospital with ‘bumps and bruises’ says the BBC; ‘broken bones’ says Dover Express (which also has pictures of the incident). The vessel was being handled by an ‘officer under training’ reports ShippingTV (not unusual apparently); others blame technical failure. A statement from DFDS confirmed the incident. @FerrymanThe says Dover Seaways is off to Rotterdam for repair this morning leaving two ships on the Dover-Dunkirk route today. Update: ship out of service until at least Friday 14 November, revised schedule until then. MOSCOW. A gang reportedly responsible for fourteen roadside murders in recent months were apparently apprehended at the weekend. Dubbed the ‘GTA Killers’ by an increasingly frenzied popular press, the gang stalked night-time drivers mainly along Moscow’s M4 Don highway. News that the perpetrators had been arrested came during a press briefing by President Putin says The Moscow Times. No other details were released other than dark hints about a possible terrorist link. ROMANIA-SERBIA. A new border crossing at Nakovo-Lunga, just west of Timisoara, was opened by the countries respective Prime Ministers on Saturday. The two also discussed a new Belgrade-Timisoara motorway says Inserbia Info.